School-age children are exploring the world. We help them decipher it. 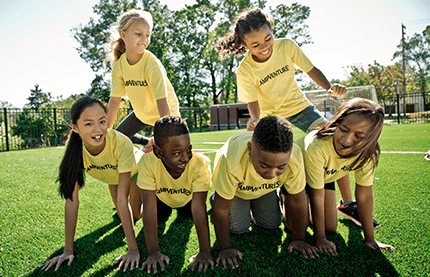 Kiddie Academy® will give your elementary school–age child a community in which to learn and thrive with convenient care both before and after school, during school breaks and during most school closings. 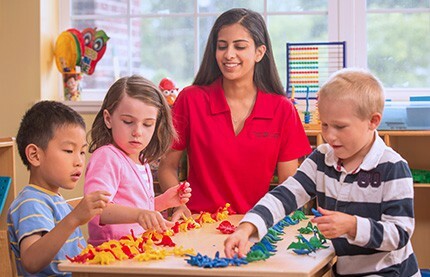 Our teachers encourage children with a fun and nurturing atmosphere. Throughout the day we focus on their educational and continued learning. 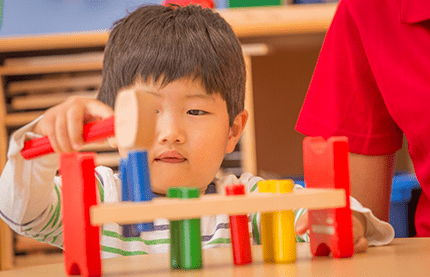 Kiddie Academy understands that school-age children spend most of their time at school juggling assignments, friendships and extracurricular activities. When they are not in a classroom, they crave the freedom to discover the things that interest them most and need the structure to build the essential skills for their futures. 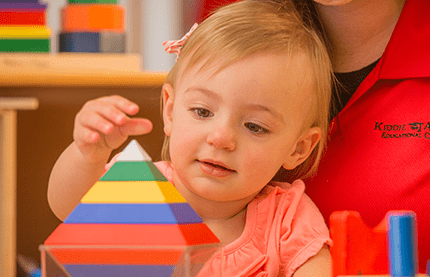 Learning continues at Kiddie Academy. 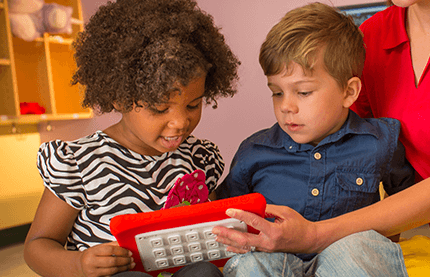 Language Arts and Literacy: Kiddie Academy understands how important it is for schoolage children to improve their reading comprehension skills. We include numerous theme-related books, as well as reflective activities, to engage the children in thinking about what they heard and read. Our school-age children participate in the Kiddie Academy Pen Pal Program, allowing them to correspond with children at other academies around the country. They learn important writing skills, such as the parts of a letter and the importance of clear writing. They also learn about different parts of the country and how they are similar and different. 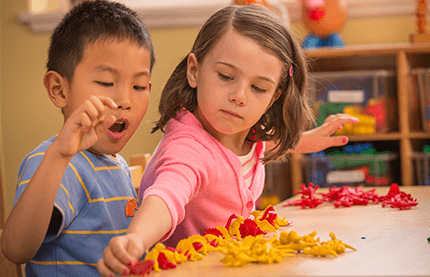 Science: Kiddie Academy knows that children learn best when engaged in hands-on activities. That’s why we let the children lead their experiences with guidance from our expert teachers. 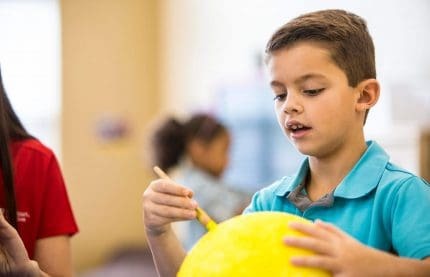 The Creative Explorers science activities encourage children to ask why or how something happens and then help them figure out how to get the answer. What kind of paper airplane flies the highest or farthest? Who holds the world record for climbing Mount Everest the quickest? 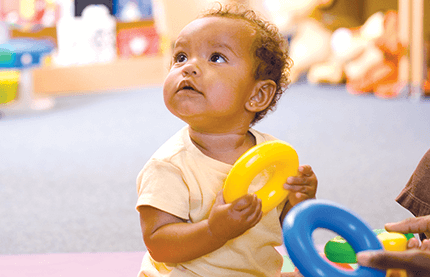 This helps children develop concepts and learn how to discover things in ways they may never have before. 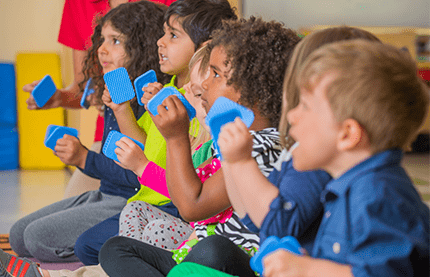 Creative Arts: The Creative Explorers curriculum provides ample opportunities for children to expand their imaginations through integrated learning experiences. 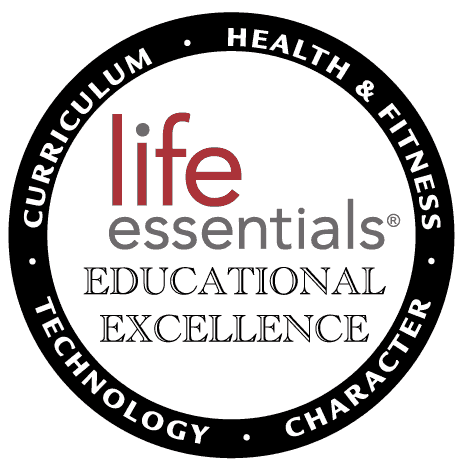 It’s all part of our Life Essentials approach. Some children may choose to create a treasure map or to participate in a “United Nations Peace Talk,” where they role play as representatives of different countries. Other children may choose to make advocacy buttons to help save endangered animals or to create a memory collage using photographs and other art mediums. Technology: We strive to blend technology into the day as a natural extension of learning. Classrooms may be equipped with interactive white boards, tablets and computers all under the direction of the teacher. Health and Fitness: Before and after a day at school we reinforce healthy habits including nutritious snacks and physical activity. Healthy choices now empower children to make healthy decisions later in life. 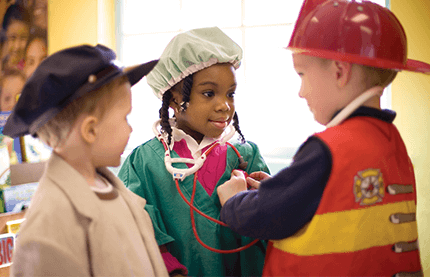 Character Education: Character education is integrated into the Creative Explorers curriculum. Activities often encourage cooperation among the children. Our small group environment allows teachers to guide children individually and in groups toward the completion of their projects. Each month, we focus on positive values such as honesty, generosity or patience. We help children better understand the society we live in, so they can develop into caring adults. Our teachers initiate discussions on respecting others, being helpful and encouraging community involvement within their community. Our School-Age curriculum focuses on learning through interactive experiences and exploration during After School Club Programs. The Scientific Domain is incorporated through several clubs, including the Discovery Club and the Environmental Science Club. The children are encouraged to be scientists as they practice critical thinking, scientific inquiry, exploring, cooperative teamwork, and problem solving. They will also be invited to explore their natural environment, identify environmental concerns, and develop solutions to protect their environment. Technology is promoted through the Photographers, Publishers, and Web Designers Clubs. The children will be invited to learn how to use a camera, download and edit pictures, utilize Microsoft Word, Publisher and Power Point, and how to create their own website. Engineering is the focus in the Architectural, Mechanical and Civil Engineers Clubs. Mathematics is integrated throughout the Clubs, with an emphasis on number sense, geometry, fractions, and problem solving.